Why is this dairy-free ice cream just as creamy as dairy ice cream? Coconut milk! Full fat coconut milk, to be precise. 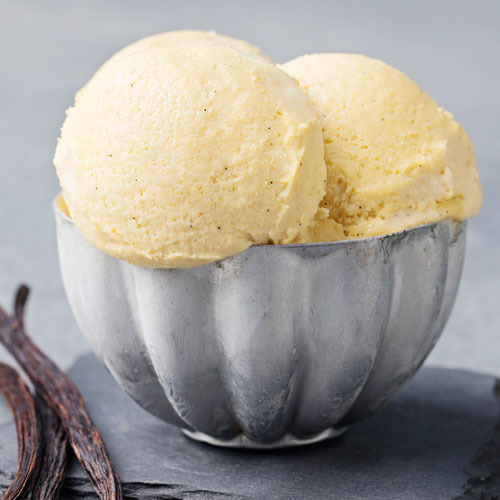 In addition to the creaminess, coconut also lends this ice cream a great coconut flavor. 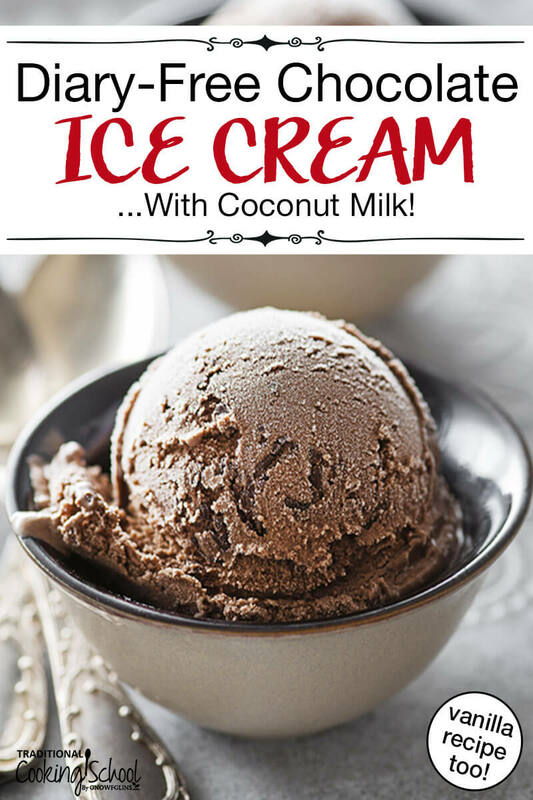 If you prefer, substitute other non-dairy milks for the coconut milk, but know that the resulting ice cream with be less creamy, more icy, and harder once frozen. Tweak the amount of cocoa powder to suit your taste! 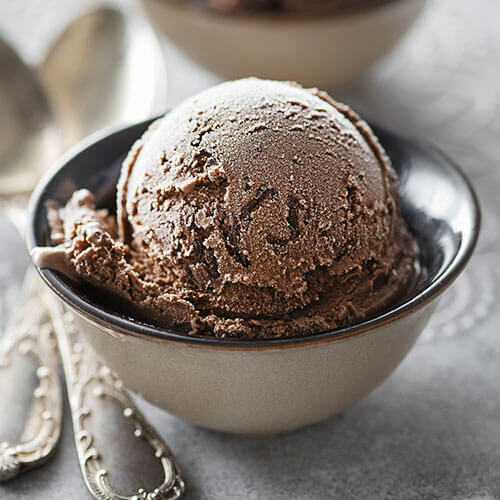 The more cocoa, the darker the ice cream will be. Why is this dairy-free ice cream just as creamy as dairy ice cream? Coconut milk! Full fat coconut milk, to be precise. Substitute in other non-dairy milks if you prefer, but know that the result won't be as creamy, or soft once frozen. Makes 2 quarts. Combine all ingredients (except add-ins) in blender, I love my Vitamix for blending. Chill in the freezer until cold. Add to ice cream maker, following manufacturer’s directions for churning. Pour in add-ins during the last few minutes of churning. For soft serve ice cream, eat immediately. For harder ice cream, transfer to an airtight container and freeze for several hours to a day, depending on degree of hardness desired. If frozen, let sit out for 5 to 10 minutes to soften up sufficiently for scooping. Combine all ingredients (except add-ins) in blender. Ooh, those two recipes look good. I’m wishing I hadn’t given away my little ice cream maker! Leave it to you to make these delicious treats! You are a culinary genius!! I pray you family enjoys the non-dairy ice cream.